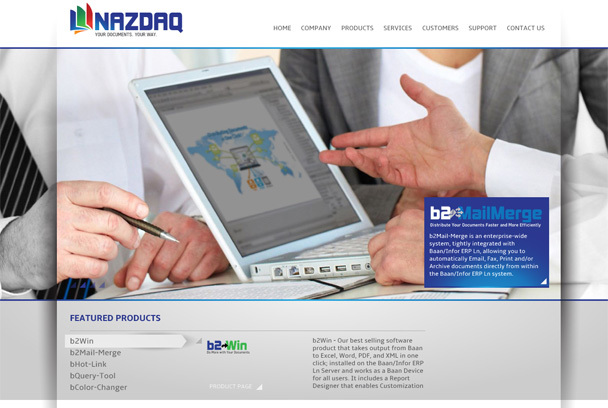 NAZDAQ is a provider of add-on software for Baan and Infor ERP LN. 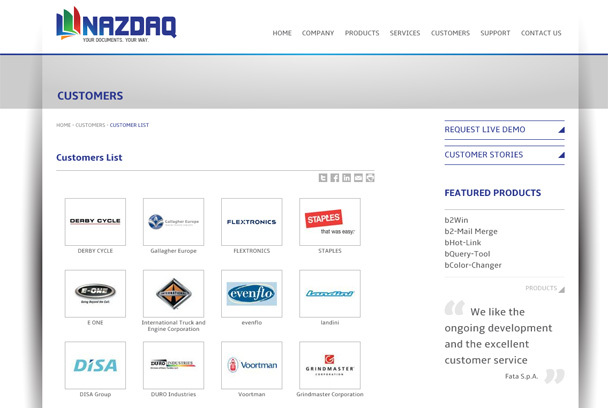 The NAZDAQ tools provide a great return on investment and enable e-mailing, faxing, archiving, printing documents like Purchase Orders and Invoices, and allow an easy way to convert reports to Excel, Word, PDF HTML and XML. 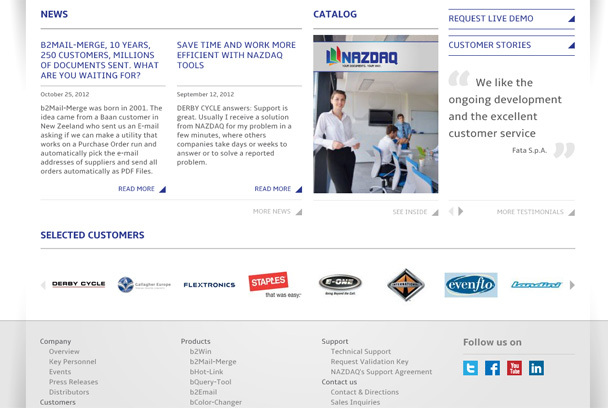 Other solutions cover areas of document management, reporting and notification.